I've had little reason to pick up a PlayStation VR headset while we are stuck between the launch release of REZ Infinite and the upcoming Ace Combat 7: Skies Unknown. Then along comes the simple and addictive indie game Race the Sun announcing that VR support is inbound, and VR is finally on my radar again. I mean, just look at these new GIFs from the latest update and tell me that this isn't perfect for VR. Whoa! Hello, my old nemesis, motion sickness. How have you been? To go along with the VR update, we've also added an option to play in first person mode. You'll be able to toggle this via the pause menu, or by using the square button at any time during play. We've found that some players find this mode to be more comfortable in VR, while some players prefer the standard behind view. Race the Sun was fun on just a Vita screen, this is insane! I've always had a fondness for Race the Sun as a simple time-waster on my PS Vita. Even without the addition of VR, it's a game that you'll always want to strive for just one more run-through. If VR is not your thing, I still suggest giving it a try as a normal game. 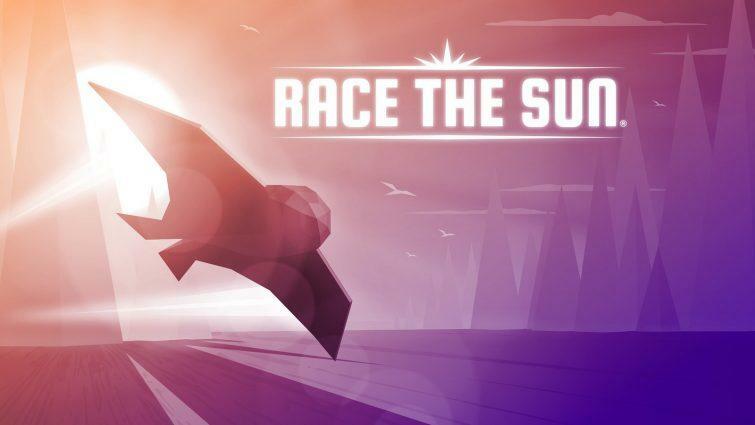 You can pick up Race the Sun on PlayStation 3, PlayStation 4, PS Vita, Xbox One, and PC.